The groundbreaking research was conducted by scientists at the Apoptosis Research Centre in NUIG. A GROUP OF Irish scientists have discovered a new treatment that can help prevent a relapse in patients who have suffered from an aggressive form of cancer. In a world first, scientists working at NUI Galway found that targeting a specific stress response during treatment could improve how patients respond to chemotherapy and reduce the chances of so-called ‘triple negative’ breast cancer returning. This type of breast cancer is one of the most difficult to treat forms of the disease to treat, and accounts for around 15% of all breast cancers diagnosed. It occurs more frequently in younger women, and unlike other forms of breast cancer, there are no targeted therapies available for it. The disease is mainly treated by chemotherapy, but while this is usually successful initially, a large percentage of patients relapse within one to three years of treatment and have a poor long-term prognosis. 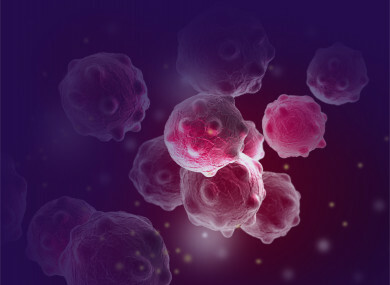 But following work by scientists at the Apoptosis Research Centre, the exact mechanism of the tumour relapse after chemotherapy, which remained unknown until now, has been discovered. The research team, led by Professor Afshin Samali, found that IRE1 – a cellular stress sensor that alleviates short-term stresses within cells, such as a lack of nutrients or oxygen – is central to patients relapsing when they have received treatment. They discovered that chemotherapy can activate this IRE1 stress response in triple negative breast cancer cells, which in turn causes the growth of new cancer cells. By making the discovery, the scientists found that this process can be halted by specifically inhibiting IRE1 using a clinically-relevant, small molecule drug called ‘MCK8866′. This drug not only improves the initial chemotherapy treatment, but also reduces the chance of relapse of triple negative breast cancer, reducing the growth of new cancer cells by 50%. In a pre-clinical model of the cancer, the drug increased the effectiveness of chemotherapy treatment and led to the regression of 8 out of 10 cancers, compared to the regression of just 3 out of 10 cancers using chemotherapy alone. Commenting on the findings, Professor Afshin Samali said his team were excited to discover a new therapeutic strategy for triple negative breast cancer patients. “Furthermore, this strategy may benefit many other cancer patients whose cancer cells rely on activated cell stress responses to survive,” he said. The study, funded by Science Foundation Ireland, the Irish Cancer Society, Horizon 2020, and Breast Cancer Now, is published today in the internationally-renowned Nature Communications journal. Email “Irish scientists discover new treatment to help prevent relapse of aggressive form of breast cancer”. Feedback on “Irish scientists discover new treatment to help prevent relapse of aggressive form of breast cancer”.